The GOP's latest short-term budget plan, released Monday night, would fund expired Medicare programs and community health centers for two years. It would also delay the Medicaid disproportionate share hospital payment cuts for 2018 and 2019 and bundle a myriad of other healthcare reforms, including the CHRONIC Care Act, into a spending measure Congress must pass by Feb. 9 in order to avoid another government shutdown. The CHRONIC Care Act aims to increase flexibility for Medicare Advantage plans and expand telemedicine, among other things. "We thank congressional leaders for recognizing in tonight's government funding proposal the urgent need to delay damaging cuts to Medicaid disproportionate share hospital payments," Dr. Bruce Siegel, president and CEO of America's Essential Hospitals, an advocacy group representing safety-net providers, said Monday night. "We strongly urge Congress to retain this two-year DSH cut delay in the next continuing resolution. 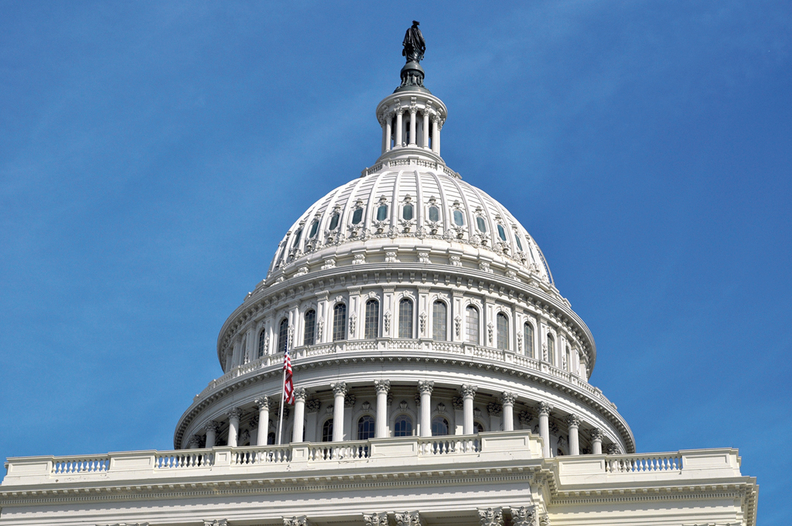 A two-year delay averts a combined $5 billion in cuts, pays for itself, and gives Congress and hospitals time to work together on long-term solutions to the financial burden of uncompensated care." The extensions don't come without a cost, and the proposals laid out by House leadership in a one-sheeter circulated among GOP lawmakers on Monday portends another brutal and partisan spending fight. Among other things, House GOP leadership would pay for the extensions by making changes to the DSH allotments, modifying long-term hospital payment, rescinding unspent funds in the Medicare and Medicaid Improvement Funds and cutting the Affordable Care Act's Prevention and Public Health Fund. Additionally, Rep. Michael Burgess (R-Texas), chair of the House Energy & Commerce health subcommittee, wants to make Medicaid the last-resort payer of prenatal claims. The outline also includes a provision that would allow states to kick lottery winners off their Medicaid rolls. Provider groups were worried that the proposal would include changes to Medicare payment codes in order to save the government additional money. That language did not surface in the one-page document. A memo to industry groups sent by the American Medical Association on Monday and obtained by Modern Healthcare, essentially warned that Congress has been using this budget dial for more than 10 years and only a fraction of "relatively low volume services" are left to review. Ultimately, the AMA wrote, the result would be "across the board cuts" that would permanently hit physician fee schedule payments in exchange for the temporary funding of the healthcare programs. The healthcare industry has been unhappy for months that Congress will tack another two years on to sequester cuts—2% across the board to Medicare reimbursements—authorized by the Budget Control Act of 2011. Congressional leaders plan to apply the savings from the sequester—which would then be slated to run through 2027—to overall spending caps rather than simply healthcare spending. Since taking effect in 2013, the sequester is projected to account for $123 billion in Medicare provider cuts through 2021—including about $49 billion from 2013 through 2017.